"Folks visiting my home bar just LOVE your lighting!! And I sure do! :)"
"We have the liquor display up and all 4 tiers are bright and beautiful. I will recommend your product to anyone that asks. Your customer support was great. When you order things online you never know what your going to get. We got a great product backed by a great team..Thank you again"
"The shelves are fantastic and bring a new look to my bar." "Very attractive light display with even more variation possibilities than described." 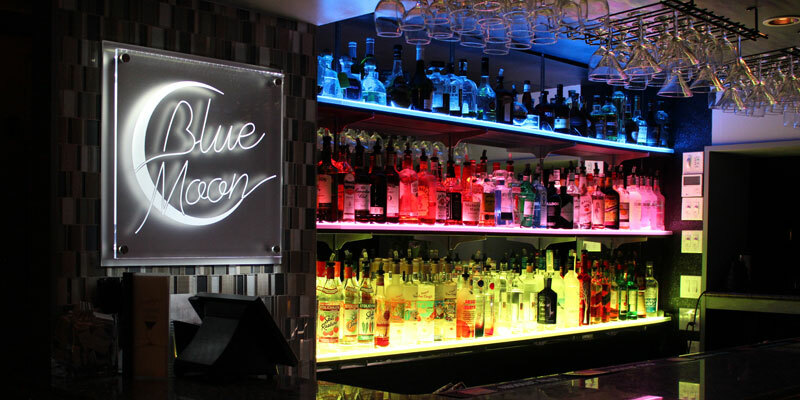 "Made my bar stand out from the rest....."
"Illuminated bottle tier completely changed the feel of my back bar." "Super bright shelves. Love them!" "My shelves are a constant conversation piece in my home bar. Everyone wants to come to my house now." "Your products keep pace with our very busy Casino environment and still stand out as a focal point on the casino floor." "Your custom work matched our specs exactly. Thanks for the help and thanks to Derek for great customer service." "We change our tier colors to match the holidays. Our customers love it!"